The Board of Directors meets monthly to review the current and future direction and operations of the Medical Center. The members on the five-person board are residents of Howard County and are appointed by the County Commissioners. Once selected, each member serves a six-year term. Members may be reappointed at the end of their term as there is no limit on the amount of terms a board member can serve. 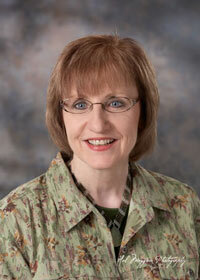 Carol Schroeder is a graduate of the Presbyterian School of Nursing as well as Grace University. Carol’s previous work experience includes working as a Registered Nurse at St. Francis Medical Center for over 20 years, and most recently as a Registered Nurse at Valley County Home Health, where she serves as the Home Health, Hospice, and Durable Medical Equipment Director. Carol and her husband Tom live in Dannebrog and also own and manage the Danish Baker. 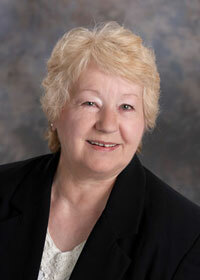 Carol has served on the board since July of 1999, and is in the current role of President. Carol’s favorite part of being on the board is continuing to have an impact on the high level of medical care that is given at Howard County due to the continued development of the providers and staff. 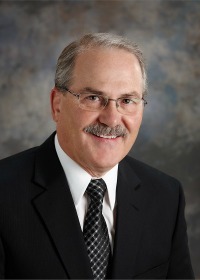 Dave Brehm graduated from St. Paul High School, completed undergraduate studies at the University of Nebraska Lincoln, and graduated from the UNMC College of Pharmacy. After graduation, Dave worked for Four Star Drug in Lincoln. Dave and his wife Marilyn moved back to St. Paul in 1984 when they purchased Brehm’s Pharmacy from his parents, Bob and Dorothy Brehm. Dave and Marilyn are very active in the community. They have 2 children Joel and Elizabeth. Bill Greenway is a graduate of Palmer High School. Bill attended Kearney State College, and earned his degree from the Dallas Institute of Mortuary Science. 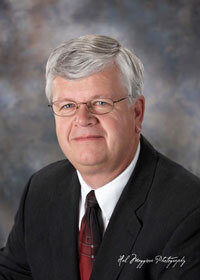 Bill is currently the Owner and Funeral Director for Jacobsen-Greenway Funeral Home in St. Paul. 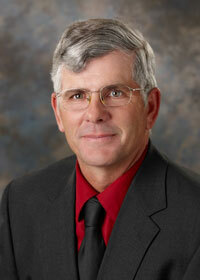 Bill has served on the board since September of 1995, and is in the current role of Treasurer. Bill’s favorite part of serving on the board has been seeing all the inner workings of the hospital and clinic. He has also enjoyed the great improvements in the facilities, staff, and services offered, and the training that has taken place. Bill and his wife Darby reside in St. Paul. They also have three children: Ashley, Alex & Austin. Harriet Steenson attended the University of Nebraska at Kearney. Harriet’s previous work history includes being an elementary school teacher, being self-employed, and working part time for Killinger Auction Service. Harriet has served on the board since July of 1999, and is in the current role of Secretary. Harriet’s favorite part of being on the board is working together with other board members, administration, providers and staff to meet and resolve the ongoing challenges that continue to arise in healthcare. Harriet and her husband Larry, reside in Wolbach. They also have four children: Michael, Jerry, Luanne & Gail. Mike Nelson is a graduate of Centura Public Schools. Mike is the fourth generation to operate the family farm, which is located near Boelus. He raises corn, soybeans and cattle. Mike was also an EMT with the Dannebrog/Boelus Rescue squad for nearly 15 years. During his time there, he led the effort that eventually established county wide paging for all EMTs and Firefighters, in addition to establishing an E-911 system in Howard County. Mike previously served on the Farmers Union Co-op Board for 8 years, and also served on the Board of Directors with Aurora Co-op. In addition to his role at Howard County Medical Center, Mike is also on the Board of Directors with both the Boelus Rural Fire Board and the Howard County Planning and Zoning Board of Adjustments. Mike is excited to be a part of a growing Medical center, and looks forward to meeting the medical needs of area residents. Mike, who has served on the Board since February 2012, lives near Boelus with his wife Vicki; and they have three grown children: Chris, Angie & Katie.